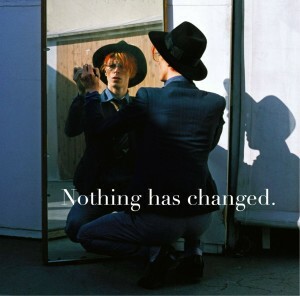 Bowie as ever bucks the trend. Like Reader’s Digest and tinned spaghetti, greatest hits albums are a cultural affront. By taking the original out of its context, and reducing and re-packaging it with such shameless cynicism, you hopelessly devalue it whilst insulting the intelligence of those you are trying to appeal to. Invariably, they’re something the record label releases behind your back, and as such, most artists want nothing to do with them. 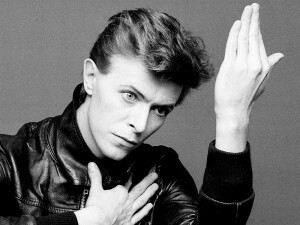 As ever and as usual, David Bowie appears to be the exception to this. Something about the man seems to give everything he does an irresistible sheen. And of late, he’s pulled off the remarkable feat of making even his money making schemes look chic. 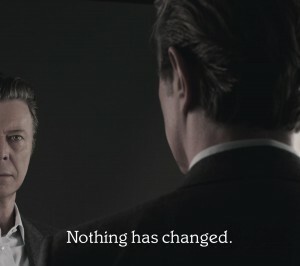 After he issued his Bowie Bonds in 1997 for a cool 55 million pounds Sterling, and whenever another ad appears propped up by one more of his (albeit re-mastered) tracks, we all applaud, impressed. The triple cd and the one to get. Instead of lamenting that one of the giants has joined the great unwashed to spend what remains of his precious time in pointlessly dredging through his back catalogue to needlessly generate yet more un-necessary money. We congratulate him on treating the monetization of his back catalogue with as much imagination as he would the creation of a new album. And now he’s pulled off the same feat with (another) greatest hits collection, Nothing Has Changed. Perhaps it’s just that when an artist does take a personal interest in a greatest hits album, we’re so unused to it that it feels like they’ve called around to our house to talk us through it personally. The fact of the matter is, the tweaks that he has made to this one probably amounted to no more than a one line email dictated to one of his assistants. Yet there’s no getting away from it. Nothing Has Changed feels like Bowie has personally overseen it. And as such, it feels so much more substantial than a conventional collection. Once again, and as ever, we’re impressed. There are three different versions, each (again) with their own bespoke cover art. And, as noted by the boys from Pitchfork who give it an 8.8 here, you can ignore the two more conventional double albums, and go straight for the impressively dynamic triple cd version. It sounds like only a small thing, but going through his career as it does in reverse order is inspired. Instead of wearing out the first cd, returning to the second, and only occasionally dipping into the third, you listen with rapt attention to all three as it builds and builds. It’s not that there’s been nothing of worth since 1990. But truth be told, the gems have gotten fewer and further between. So the fact that a number of the more recent tracks have been given a re-mix helps to bolster the earlier (ie chronologically later) tracks. But even here, you sense his personal presence. When James Murphy references Ashes to Ashes in his Love is Lost, and then the Pet Shop Boys give Space Oddity a nod on their Hello Spaceboy it’s impossible not to imagine the great man standing behind them at the mixing desk, overseeing matters. In the midst of those 5 extraordinary years. But what really makes the whole thing so captivating is the confirmation that Bowie has a Mozart-esqe ability to churn out impossibly memorable melodies at the drop of one of his many hats. What this means is, that he is at once an albums artist, and a singles artist. 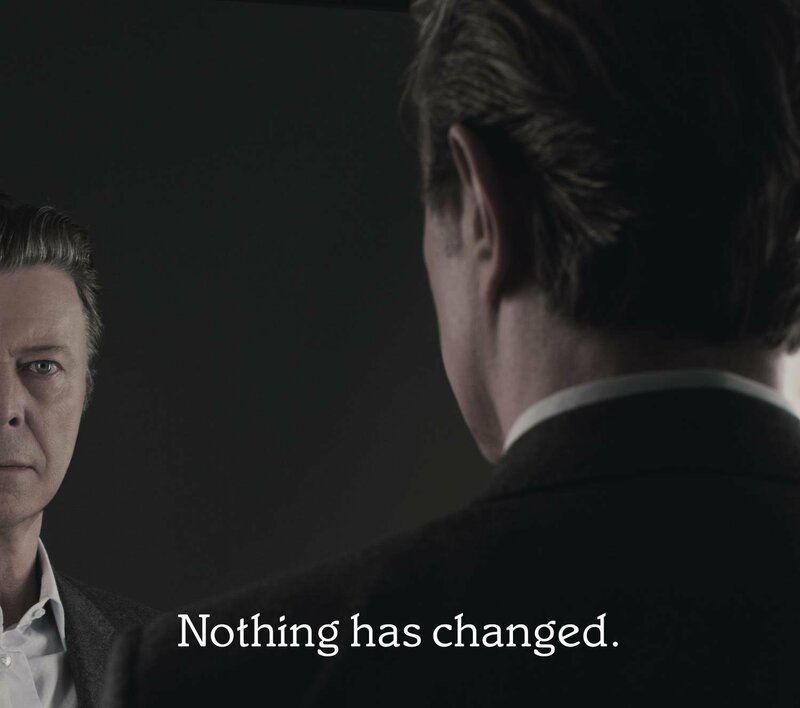 On the one hand, there’s the Bowie who made, arguably, the most impressive and outrageously diverse 6 albums ever produced, over a six year period between 1975 and 1980, beginning with Young Americans and culminating with Scary Monsters. From total immersion in Philly soul, to the forefront of the electronic avant-garde, and on into the second wave of punk. 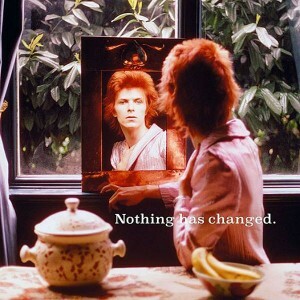 And all just two years after being the newly crowned king of glam rock. And yet at the same time and during all of which, he can produce a never-ending string of outrageously hummable tunes that pull unashamedly at the heart strings. From Life On Mars and Drive-in Saturday in the early 70s to Everyone Says Hi in 2002 and Where Are We Now? from last year’s otherwise (whisper it) hugely disappointing The Next Day. It’s this combination of artistic ambition, and an ear for the perfect melody that makes Bowie so beguiling, and keeps us all so consistently impressed. And that’s what raises this collection up so thrillingly. Sign up for a subscription right or below, and I shall keep you posted every month with All the Very Best and Worst in Film, Television and Music! Thank you for your eloquent and insightful review . I am wondering though if this is a completely unbiased assessment of the great mans latest offering as I have it on good authority that you have been a fan boy of Sir David since childhood . Far be it from me however to inpune the impartiality and integrity of a respected journalist and critic . 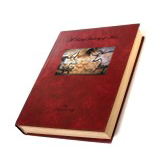 I am reading your book , hope you are well and happy . Mr Berry, Paul no less! I’m a little embarrassed, though extremely flattered if you really are reading that book of mine. But for heaven’s sake put it back down again. I’m in the midst of a complete re-write. It’s dreadfully dull as is and reads like a thesis. I hope by the middle of the summer to have injected a desperately needed lightning rod into its gut and to thereby transform a corpse into something resembling a living entity. Where are you and what are you up to?! I’m so sorry I didn’t reply sooner , I thought , stupidly , that any response would appear as an email so I didn’t check back into the thread . I’m living in Bristol with my three daughters ( 22,20 and 18) Meg the middle one is in Fiji building a school and has been in Oz for 6 months but the other two are at home . I’ve been back in Bristol for the last three years . I am wondering whether I could buy you a glass of something ? It would be lovely to see you . I should have LOVED to hook up for a glass of something before of after the match, but alas, I’m in Dubai. I’m working here as a copywriter in an advertising agency, which is the main reason my blog has gone from weekly to monthly posts. Anyhow, my address is anthonyokeeffe6@gmail.com. Drop me a quick line when you get the chance, and we’ll be able to chat more privately. That match is going to be something. In days gone by, I’d have said that you English boys were a cert to spoil what we are thinking of as our party. But those Irish lads have become increasing used to winning…. I hope it stays dry. It’d be great to see a reasonably open game… Anyway, drop me a line with your address… A.